Smokin' Aces - Who's left? 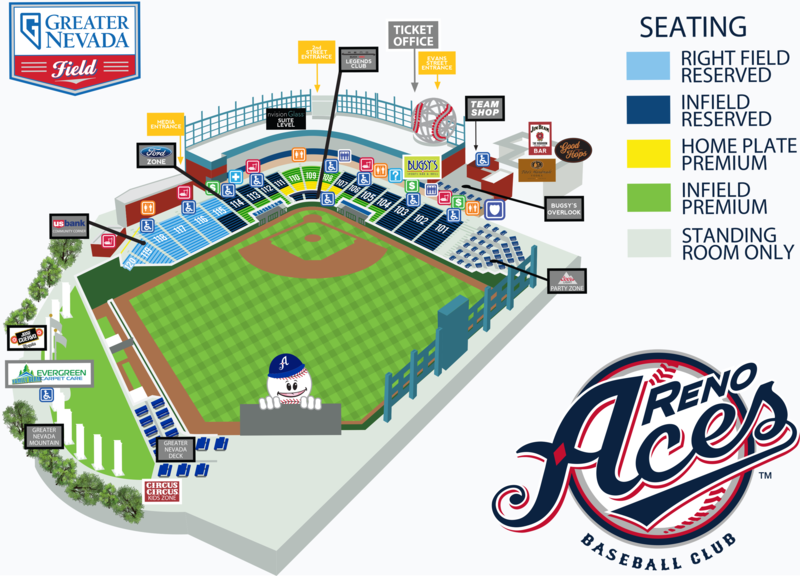 While Aceball is still a little over a month away for Triple-A Reno, it has already gotten started during Spring Training. 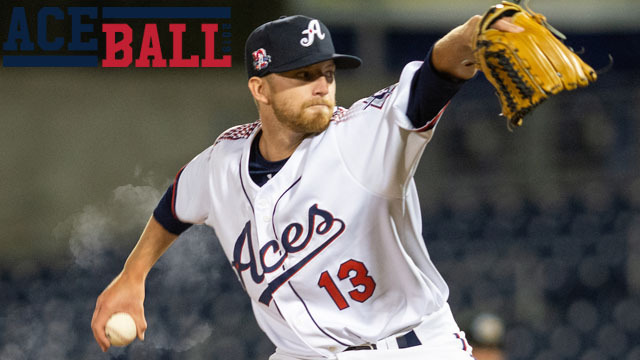 Future, current and former Aces are impacting Major League teams during big-league camp and beyond. If you can believe it, Opening Day for the Arizona Diamondbacks is less than two weeks away. The team will open up on the road against NL West rivals the Los Angeles Dodgers on March 28. As Cactus League play ticks down, the D-backs have now made two rounds of cuts. Pitchers Taylor Clarke, Joel Payamps, Joey Krehbiel and Jimmie Sherfy have all been optioned to Triple-A Reno. Infielders Kevin Cron and Domingo Leyba will join them to start the 2019 season. So, who's left with a fighting chance to make the Major League roster? This may be Christian Walker's ('17, '18) best chance to open the season with a big-league team. Ironically, Opening Day is Walker's 28th birthday. A spot with the Diamondbacks would be quite the gift for the first baseman. Walker is a true hitter posting a .285 batting average with 125 home runs over six seasons in Minor League baseball. In 2017, he was the Pacific Coast League MVP batting .309 in 133 games with 32 home runs, 114 RBIs and 104 runs scored for the Aces. Despite the good numbers, Walker has spent years behind some of the games best at first base. He started his career in Baltimore blocked by Chris Davis in his prime. He then spent a few weeks via waiver claims with the Atlanta Braves blocked by Freddie Freeman, and Cincinnati Reds blocked by Joey Votto. And since he's gotten to Arizona, he's been blocked by franchise player Paul Goldschmidt. However, 2019 is different. Goldschmidt is gone and Walker is out of options meaning he either makes the Major League roster, or the team risks losing him on waivers. Walker is doing everything in his power to force the Diamondbacks' hand. During Spring Training, Walker is currently hitting .355 with four doubles, a home run, five runs scored and a team-leading 11 RBIs in 12 games. He is likely to see time against left-handed pitching in the Majors. While in Reno, Walker hit .299 against lefties in 2017 and .337 in 2018. Ildemaro Vargas ('16-'18) is arguably having the best spring of any Diamondback. He leads the team in hits with 14 and is tied for the team lead in at-bats with 37. He is second on the team with nine RBIs and is slugging .514. The Diamondbacks are in search of offense with the losses of Goldschmidt and outfielder A.J. Pollock in the offseason. Vargas may be able to provide a spark in the lineup if he gets a chance. He's hit over .300 in all three seasons he's been in Reno. The signing of five-time All-Star Adam Jones will not help Vargas' case for a spot out of camp. An extra outfielder means that Ketel Marte may come back to the infield during parts of the season. However, a switch-hitting utility infielder off the bench is valuable to any franchise. Vargas is already on the Diamondbacks' 40-man roster. Matt Koch ('16-'18) has been throwing great in Spring Training so far. He has thrown seven scoreless innings, allowing just one hit and striking out five. Opponents are hitting just .091 off the righty. Koch was acquired from the New York Mets in a 2015 trade that sent pitcher Addison Reed to New York. He's spent time in Reno the last three seasons. He's had a taste of the big leagues before appearing in 27 games since 2016 with the Diamondbacks. In that time, he's compiled a 6-6 record with a 4.04 ERA in 16 starts. A season ago, he threw 86 2/3 innings for the club going 5-5 with a 4.15 ERA. Starting pitcher Taijuan Walker is still recovering from Tommy John while reliever Silvino Bracho just underwent the same surgery Wednesday opening up more spots in 2019. Koch could be next in line for a big role whether it's as a starter or out of the bullpen in 2019.